Send2Press › Wire › Technology › Apple Mac and iOS › Recoverit Makes Mac Trash Recovery Easier Than Ever! 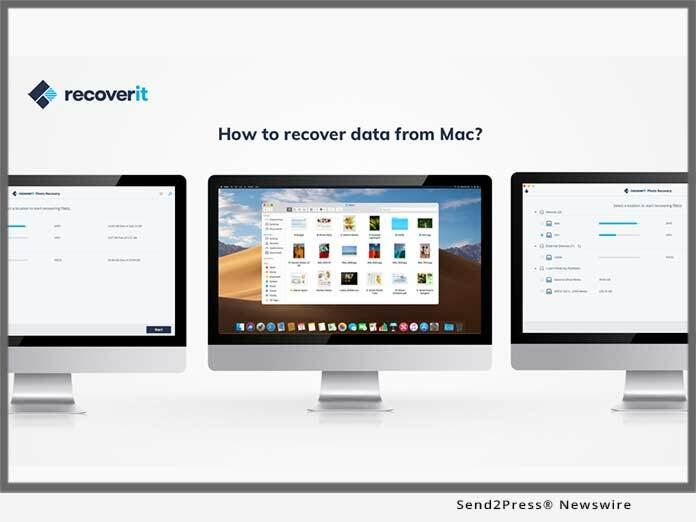 SHENZHEN, China, April 11, 2019 (SEND2PRESS NEWSWIRE) — Recoverit Data Recovery for Mac from Wondershare holds the ability to recover the deleted data easily and safely. Be it USB Drive, hard drive or any other media on Mac, it is completely supportive. The best part about this Mac recovery software is it manages to recover trashed data in a hassle-free manner. Recoverit for Mac recovers deleted files from trash no matter what Mac version people are using. This implies that the tool is compatible with almost all Mac OS versions. It is capable of recovering over 1000 file types and formats. These include videos, photos, email, documents, audio files and what not. On a plus, one can filter out the file types to find the files much easily in an organized way. The devices that are supported with this software comprise Hard Drive, SSD, music player, USB drive, memory card, RAID, SAN/DAS and Floppy Disk. Carrying a colossal amount of positive reviews by the users, it is now acknowledged worldwide and has become the most trusted software. Moreover, many popular sites also recommend this tool. Along with being a trustworthy tool, it offers a secure, intuitive and simple process for Mac trash recovery or any other data recovery.